If you want to root your android device, then you have to flash the SuperSu zip file via any recovery.We recommend TWRP recovery as it is the most used & features packed Recovery for android devices right now.The flashing process is very simple and easy. 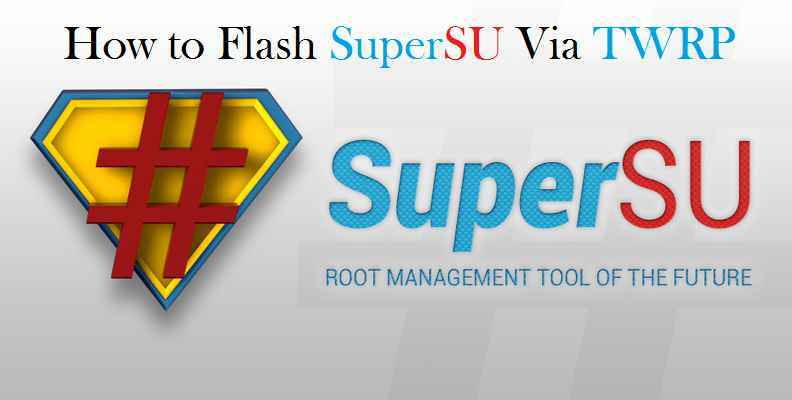 SuperSU is the Superuser access management tool.SuperSU requires a rooted device.SuperSU allows for advanced management of Superuser access rights for all the apps on your device that need root. If your phone is on, turn it off. Press and hold the Volume up button and the Power button at the same time until the device turns on. Press the Volume down button to select "Recovery mode." Once flashing is done. Reboot your device. For confirmation, install Root Checker from Google Play Store and confirm the root privileges in your smartphone.